LeedyPalooza is where Leederville opens its doors and stops traffic to make room for Perth to get involved in this all-inclusive community based initiative. 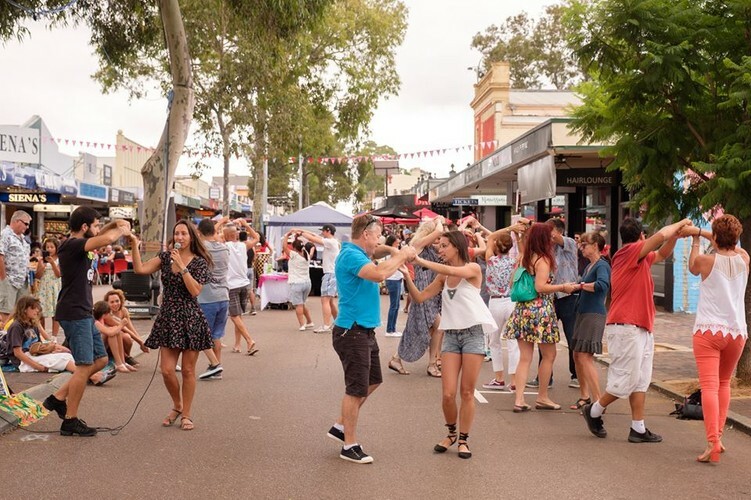 After the runaway success of last year’s LeedyPalooza events, Leederville Connect along with the City of Vincent once again combine to create the ultimate Leederville experience. With nine separate events planned for February, Leederville is set to shine as a venue for music, food, entertainment and culture. "Leedypalooza is an award-winning, whimsical and wildy fun adventure in Leederville, and we are so excited to welcome this back again," said City of Vincent Mayor Emma Cole. "Vincent will be supporting the events with road closures, so people and local traders can spill out on the streets. Leederville is the place to be this February! Please come join us." The party continues at LeedyPalooza with Dancin’ in the Street. Be sure to wear your dancing shoes, and if dancing is not your thing, come on down and watch the ultimate dance off show down! No matter what your moves are like, LeedyPalooza invites you to dance with the family, a bunch of friends or encourages you simply to come solo to wow the spectators! All dance moves are welcome at Dancin’ in the Street. It is a free event, and at no cost there’s no excuse not to dance on down. Leederville gets dirty with its own block party featuring hip hop DJs, MCs and B Boys and B Girls. Leederville’s famous Long Table Dinner is back so you can dine under the stars to delight your senses. Romance is alive on the streets of Leederville on Valentine’s Day with a nod to streets of Venice, roving minstrels, pop-up opera and Italian theatre. Experience an exotic mix traditional and contemporary indigenous and non-indigenous music as we celebrate the Noongar Summer season of Bunuru. Get down to the rhythms of hot brass and New Orleans flavours with Junkadelic Brass Band and Bambuseae Rhythm Section. LeedyPalooza promises to be one of the most exciting additions to the Summer calendar this year. For events details, find your way to the Facebook page.